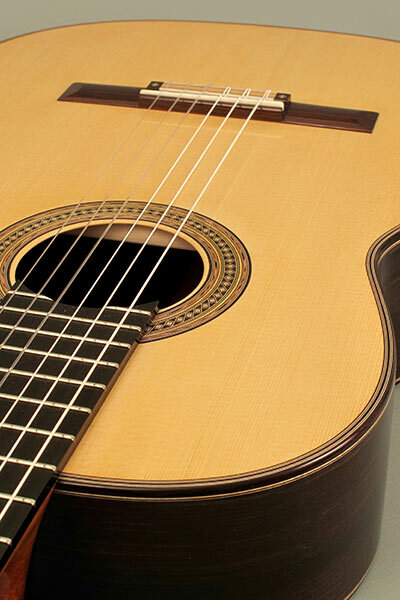 I find building guitars to be very satisfying and it is a privilege to be able to individually handcraft a classical guitar of the highest quality which I hope will give enduring pleasure to players and audiences alike. 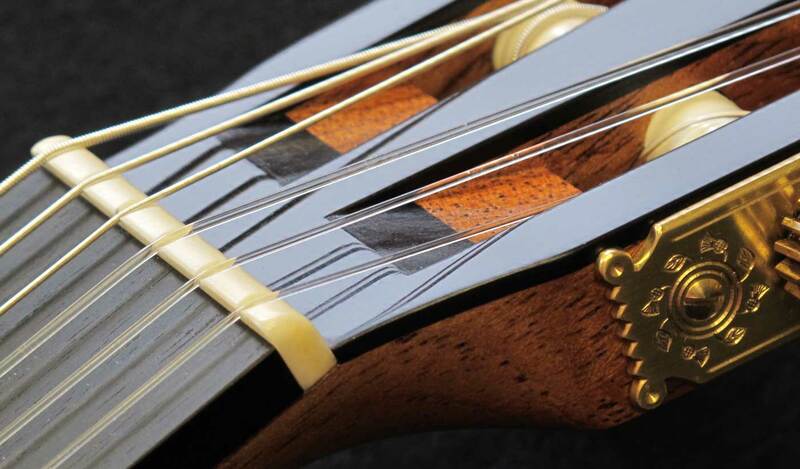 Why Commission a Simon Ambridge Guitar? Commissioning a guitar from me gives you the opportunity to own a unique instrument, whether you are a student, amateur or professional player. With my many years of experience I can advise which model would suit your needs and tailor your specific requirements. 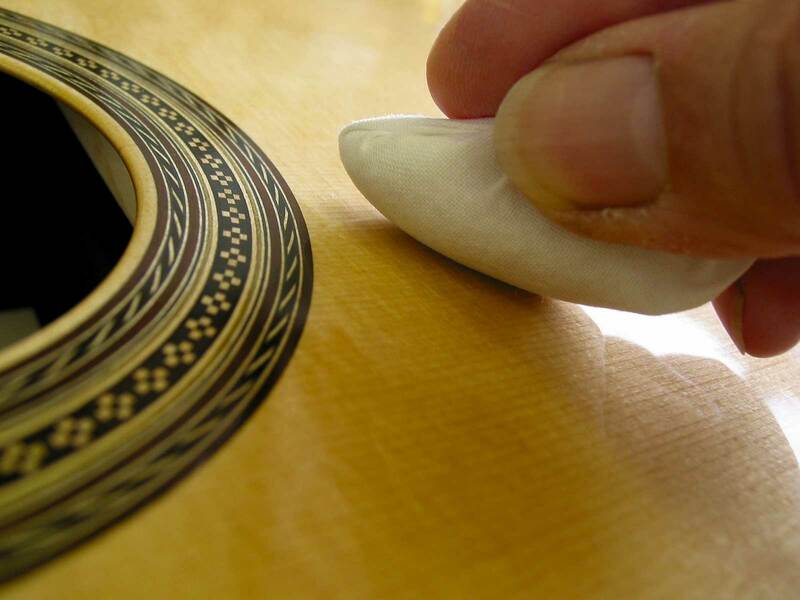 Whether it be scale length, body size, string spacing or choice of woods you will be able to involve yourself in the whole process from conception to completion knowing that your guitar will be one of a kind. but I am happy to discuss individual requests. 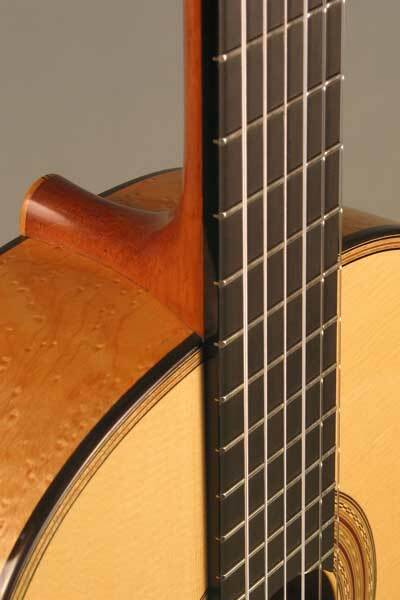 My concert guitars owe their inspiration to the instruments of Antonio de Torres, the early 20th century Spanish makers and Hermann Hauser 1. 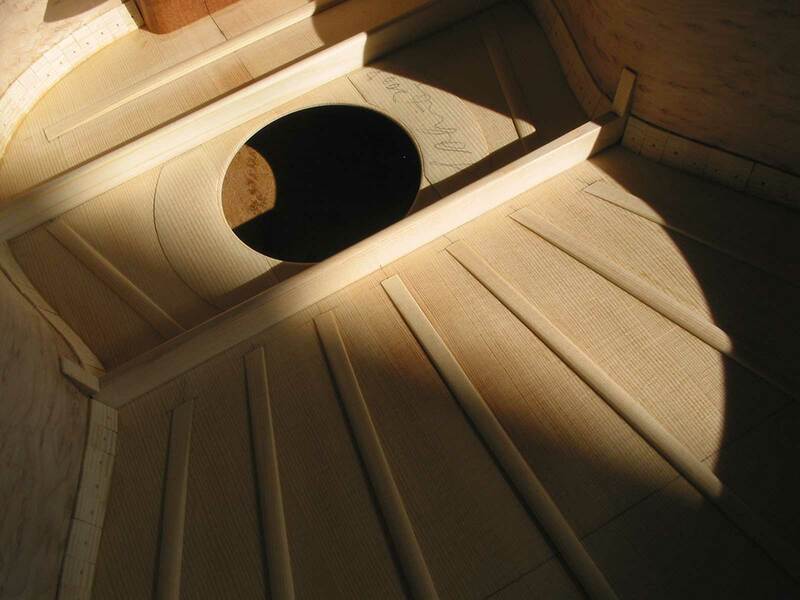 By combining design elements from these wonderful makers with my own ideas I produce instruments which are traditional in style, lightly built and very responsive. In 2008 I had the opportunity to measure and absorb a fine 1940 Hauser 1 guitar, probably the sister of the ‘Augustine’ Hauser which Julian Bream played for two decades. 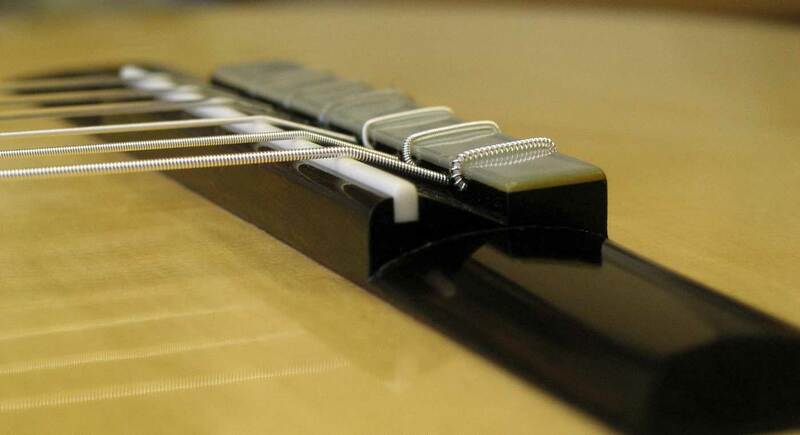 Both uniquely were tuned to E/E flat, whereas most Hausers are tuned higher, more like F/F sharp. 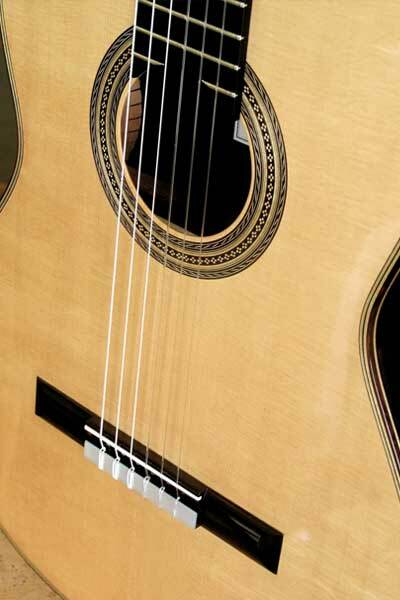 I was introduced to the guitars of Torres, like so many others, by the fascinating book by José Luis Romanillos ‘Antonio de Torres Guitar Maker- His Life & Work’. It became my workbench companion for many years and I still dip into it frequently for inspiration. 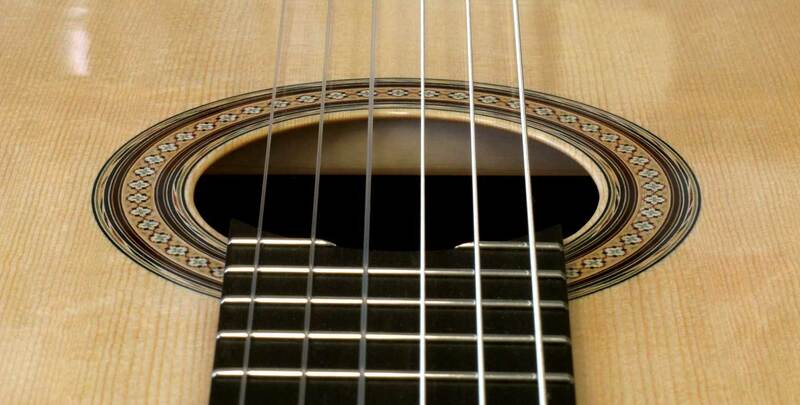 If you would like to talk about commissioning a new guitar, please get in touch.